Logan Square Auto Body Shop | Logan Square Auto Body Repair | Logan Square Auto Body Repair Shops | Logan Square Collision Repair | Logan Square Auto Collision Repair | B&L Automotive Repairs, Inc.
B & L Automotive Repairs, Inc. is well known for providing the most exceptional auto body repair services to customers throughout the Greater Chicago Metropolitan Area for over 36 years. Recognized as a highly-respected family-owned and operated collision repair shop in Chicagoland, B & L first opened for business in 1978 with Bernie Schatz (B) and Lou Stein (L). In 1980, Peter Rizzo started with B & L, and in 1988, Rizzo became the owner of B & L. Since that time, Rizzo and his family have been proud to deliver the same ethical values and high standards that the auto body shop has had for more than three and a half decades. B & L ensures that all of their auto body repair technicians have been able to receive the finest training in order for B & L to continue being the top-rated auto body shop. It makes perfect sense that so many Logan Square residents consider B & L’s auto body shop as the best auto collision repair shop in the region. B & L Automotive Repairs, Inc. is conveniently located about two miles directly north of Logan Square, Illinois. Over 62,000 residents call Logan Square home. If Logan Square residents need any auto body repair work, they bring their vehicles to B & L. Our auto collision repair services are consistently recognized by Logan Square residents as the best, since we are well-known for being able to work on all makes and models, and also being able to collaborate with area dealerships and insurance providers. In spite of the auto body repair work Logan Square customers need, B & L’s highly-skilled team of professionals will deliver the necessary auto body repair needs they require. Logan Square clients are well aware that we will offer them the finest auto collision repairs they deserve at a competitive and affordable price. B & L Automotive Repairs, Inc. delivers the most extraordinary auto body repair work in order to augment the claims management process. By focusing on integrated claims management, we can continue to offer the leading auto body repair services. Moreover, B & L provides a beneficial limited lifetime warranty. 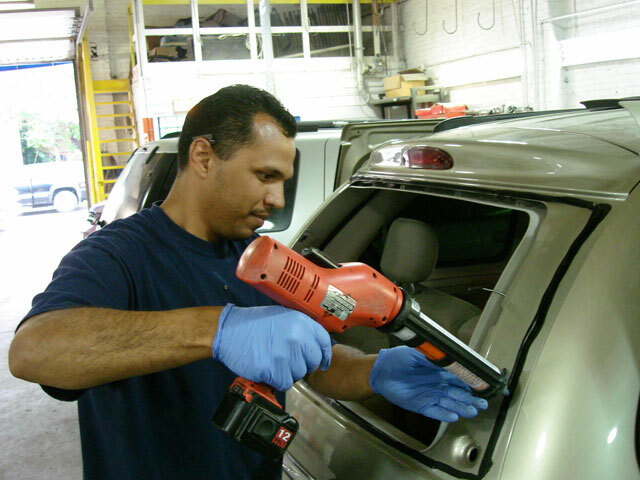 We also guarantee that the parts and materials we use in our auto body repair work are of the finest quality. Regardless the reason customers come to B & L auto body repair shop, they will be helped by one of our customer service representatives who will help them navigate the auto collision repair process. Customers can also expect to receive a firm estimate from B & L! In addition to providing quality control checks at every level to make sure that your collision repair work is handled properly, we will also make sure that your vehicle is ready to drive. For a FREE estimate from B & L’s auto body shop, call us today at: (773) 463-1622.